The Housing Choice Voucher Program, often referred to as Section 8, allows tenants to apply for housing assistance through the government. As a landlord, you’ll want to consider whether or not renting to Section 8 tenants is right for you. 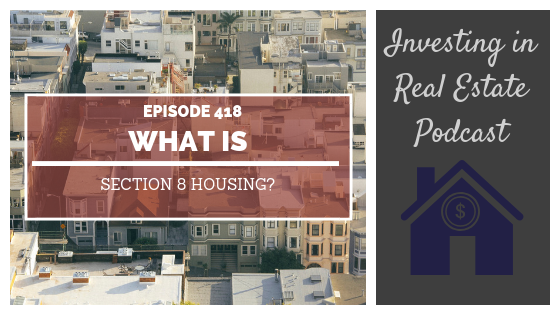 On this episode of Investing in Real Estate, Natali and I are sitting down to discuss the basic mechanics of Section 8 Housing! You’ll learn how government assisted housing works, how you get paid as a landlord, and much more. If you’ve ever wondered about Section 8 rentals, today’s show is for you! How Section 8 rent is calculated and collected. The pros of Section 8 housing. Which government department supplies housing.